In a recent Classical Fighting Arts magazine (Vol. 2, No. 23) an article was written from the viewpoint that Isshinryu founder Tatsuo Shimabuku never trained under the Okinawan masters he claims to have had. (I haven't seen the article; I've learned about this mostly from online forums. My understanding is that the article was penned by David Chambers, the magazine's publisher. Other sources say the author is unknown.) Classical Fighting Arts is a respected periodical, which, on the surface, makes this piece on Isshinryu and Shimabuku difficult to dismiss. This story reminds me of Donn Draeger's section in Modern Bujutsu & Budo on the Japanese martial art of Shorinji Kempo. Its founder, So Doshin (b. Nakano Michiomi, 1911) claims that the transmission of the art was bequeathed upon him by a Chinese master of I-ho-chuan, a style of Shaolin boxing. While Nakano's claim to be a disciple of Wen is plausible given the hectic conditions of those times, history refutes his claim that in 1936 he was honored by the aged Wen and named the twenty-first leader of the Shaolin tradition, and therefore he is "the only true successor to the Shorinji [Shaolin-ssu] tradition." This false claim greatly detracts from Nakamo's integrity, for no Chinese, historian or wu shu authority has ever heard of him in this role. So it must be assumed that Nakamo's claim is but a fabrication made to enhance his personal prestige and position of his Shorinji system in Japan. I don't know if Draeger's fact-checking skills were ever challenged by the Shorinji community. So Doshin (Nakano) was alive and well at the time of Draeger's writing, unlike the CFA article on Shimabuku, who died in 1975. However, Shimabuku, who is credited in Isshinryu lore as being a "leading practitioner of Goju on Okinawa" and cites his formitive training with Chojun Miyagi, the famous founder of Goju-ryu karate, is apparently never mentioned in Goju-ryu history, or by any of his Goju contemporaries. 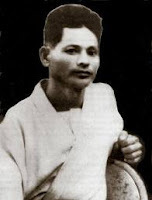 In his formation of Isshinryu, Shimabuku did take the kata Seiuchin and Sanchin from Goju-ryu, as well as the text the Kenpo Gokui (The Eight Precepts of The Fist). Okinawa is not a big place as it approximates the size of about two US counties. Shimabuku's assertion that he trained under the likes of Chotoku Kyan, Choki Motobu and Miyagi does not seem far fetched. While he never recounted his experiences with these individuals (nor do any photos exist with him in their presence), I find it unlikely that Shimabuku would have a need to pad his resume with falsehoods. To impress whom? Most of his first students were US Marines stationed on Okinawa. Isshinryu karate was and is not a very popular style there, and as one longtime instructor speculated may be in its death throes on the island. None of this really matters to the essence of the art here or abroad where it still flourishes. For Isshinryu, the way is in the training, not to be found in gossip, slander, or a scandalous history lesson.